It’s almost Back -To-School and we’ve partnered with Walmart to highlight the mobile Box Tops Bonus App and Buy 5, Earn $5 program. We are compensated for this post and offer our honest experience. Moms, back-to-school is here so you know what that means, don’t you? Backpacks, school clothes, glue sticks and Box Tops For Education. 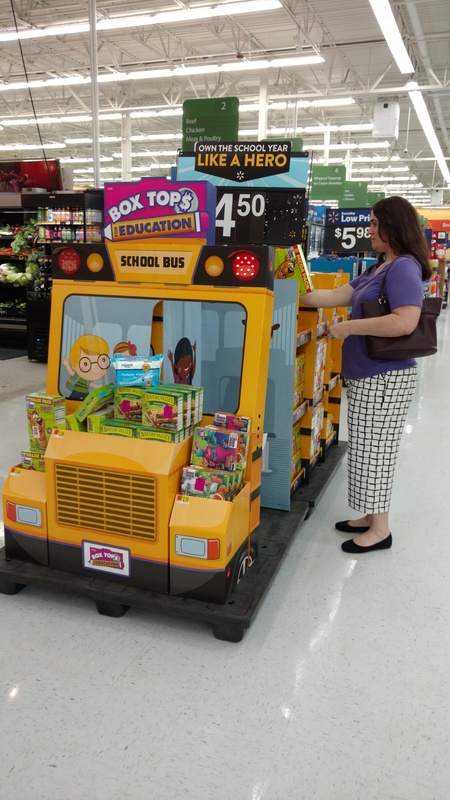 The Box Tops For Education Buy 5, Earn $5 for schools program is alive and well at Walmart…and you know you need to head over there. 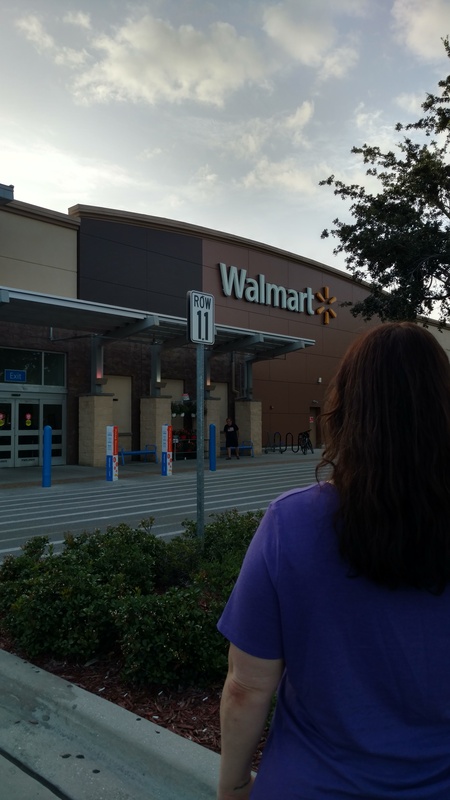 Do you find yourself at Walmart every.single.weekend like me? Over the summer your kids enjoyed their break, but let’s not forget that their school is working tirelessly behind the scenes to create an amazing experience for them this year. Box Tops For Education is an easy way to help and it’s now easier than ever with the Box Tops Bonus App on your phone! Since day 1 of kindergarten, my family has donated all of our Box Tops clips to my kid’s school. We even sent them into my niece and nephew’s teachers because there is always a need for the money you get in return for collecting them. Haven’t heard about this? Basically, brands offer these small #BoxTops on their packaging and when you donate them or upload your receipt to the app; they get cold hard cash. Isn’t it nice to know that the money earned directly affects the children and teens experience at school? Even your teens like finding Box Tops on products using the Bonus App! Walmart is kicking off the Back-To-School season by promoting their Box Tops program Buy 5, Earn $5 in Box Tops! Today’s lunch is tacos and black beans with rice. We’re in Florida so this meal is a staple here. 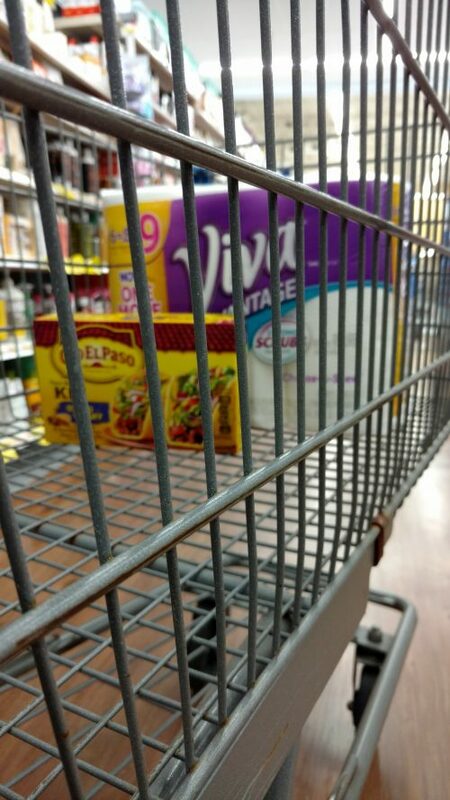 It’s a pretty messy meal so we’ll grab some Viva Vantage paper towels for easy clean up. The easiest way I’ve found to menu plan is to use the mobile Bonus App to locate products at Walmart. If your kids love playing with your phone, put them to work. Browse and select offers within the App; buy them at Walmart and save your receipt! Upload your receipt using the Bonus App. Click to learn how. Box Tops confirms your receipt via email and your school gets the credit. 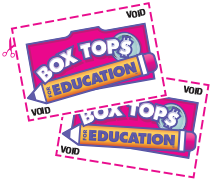 If you haven’t used the #BoxTops Bonus App before then spend a few minutes signing up online and assign the earnings to your favorite school. Sign up here. Have you pledged to help your kid’s school yet? Our local school has set a goal of $1000 and I’m doing my part to make sure they meet it. I called over to the office to find our this year’s Box Tops For Education coordinator (hello Sarah!) but you can even just mail them to the office or stop by and plop down your stuffed baggie. Doesn’t have to be fancy, just has to be done. Use the collection sheets, DOWNLOAD them here..
Are your children all grown up? No fret, you can still help throughout your community. Feels good, doesn’t it? Find a collection drive in your area. Make a pledge to contribute clips all year long (hey, you’re buying these products anyway). Drop off your clips. Trust me, they’ll be thrilled! Install the Walmart App, shop and then upload your receipts to the Box Top Bonus App. ← Teen Tip Tuesday (by Kelly M) – Have You Reduced Your Teen’s Device Time?